Elipson Planet L review | What Hi-Fi? Who says loudspeakers have to be plain old wooden cabinets? French company Elipson certainly wants you to think outside the box with its Planet L, one of the most striking designs we've tested in recent years. Roughly the size of a medicine ball and finished in a striking high-gloss red (black or white finishes are also available) these dramatic speakers are a break from the norm in every sense. The latest in a long line of spherical speakers – Elipson has been keen on the idea for years – the Planet Ls come supplied with simple metal supporting rings that can be placed on your desk or atop a conventional speaker stand. Alternatively, elegant polished-metal floorstands are also available, at a pricey £200 per pair. To preserve the smooth lines of the speakers themselves, each grille features a magnetic attachment mechanism that lets you remove them without leaving unsightly mounting holes in place. The Drive units are less exotic, with a 25mm soft-dome tweeter mounted at the heart of a 16.5cm paper-cone mid/bass driver, while the enclosure is ported to the rear. And sound quality? It's largely fine, the Planet Ls combining smooth treble with a broad, sweeping soundstage and the ability to generate excellent imaging and focus. their midrange remains transparent and uncluttered even with complex beats. Some rivals can be more revealing in absolute terms (both for better and, depending on the recording, for worse) but there's plenty to like here all the same. However, the Planet Ls are less comfortable with deep bass – as you'd expect, perhaps – and don't particularly relish large rooms or high volume. If that's what you have in mind, the more conventional KEF Q300s will serve you better, as will the more expensive Tannoy DC6T floorstanders. 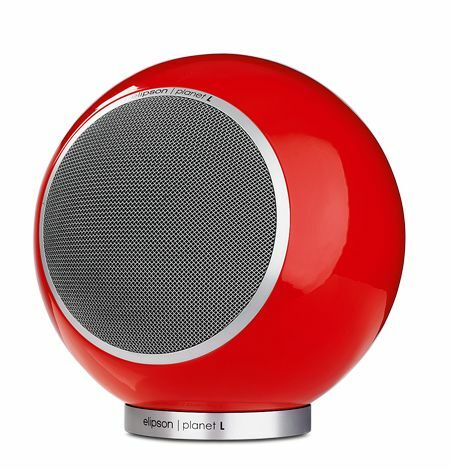 But of course, those relatively plain-jane speakers are unlikely to sway someone smitten by the Elipson's style - which is why we can see the Planet Ls making many friends in the months to come.